The default Network Security Group rules in Azure allow any outbound connections to the Internet. For most security conscious organisations this is unacceptable and they must implement default deny rules that override the Microsoft defaults, then only explicitly allow outbound traffic where necessary. The problem with putting in a default deny is that it breaks various functionality such as the VMAgent being able to report health-status to the Azure platform which is then reflected in the portal, the ability to reset VMs, use custom script or basically any type of VM extension. 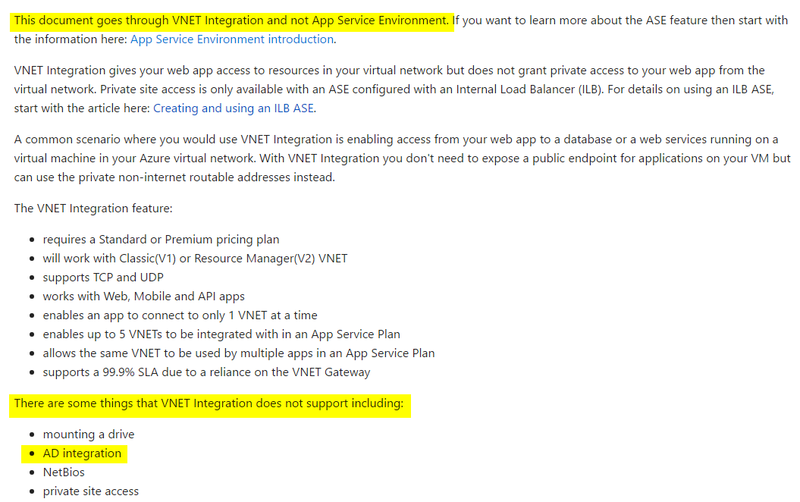 It can also break other Azure services. way to create your own custom tags (e.g. akin to object groups such as those you have with Cisco or Checkpoint firewalls) – so today there is no easy way to do this. This post discusses using a list of Azure Public IP ranges that Microsoft publishes and using that to whitelist those IP addresses. region and provided in XML format. This file covers Azure Compute, Storage and SQL – so it doesn’t cover absolutely all services. If the OutputAsNSGAllowRuleFormat switch is specified the results are output in the format of NSG rules (as a CSV). This switch requires that the NSGRuleNamePrefix parameter is specified, which is used to prefix the NSG rule names. If the OutputAsCheckpointObjectGroupFormat switch is used it causes the IP addresses to be output in Checkpoint firewall network object group format. You can then for example use the NSG rule format CSV file and use a PowerShell script to apply the rules – you might want to do this in an automated fashion since some regions have hundreds of IP addresses in this file. This brings us to another problem, we can’t create custom tags with NSGs, you can have a maximum of 400 NSGs each containing a maximum of 500 rules per NSG – and you can only have one NSG associated with a Subnet (or NIC). 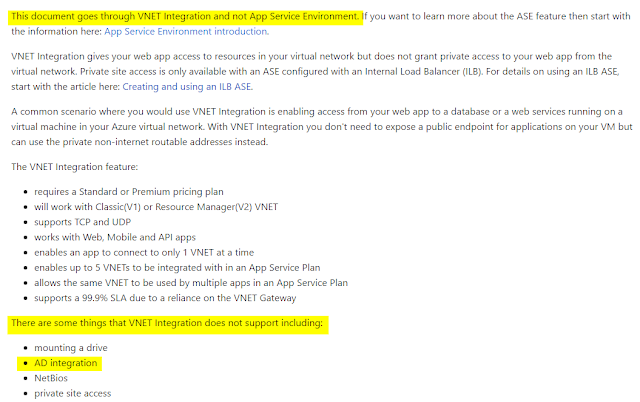 This is problematic because if you’re accessing resources across multiple Azure regions – there is no way you can cover all the IPs and stay within the limits. One option is not to be specific about the ports you allow and just allow ALL traffic to the Azure IPs but you will still reach the limits. Don’t use NSGs and use a virtual firewall appliance such as a Checkpoint, Barracuda or Cisco appliance. These are not subject to the same limits and support the use of object groups which can simplify the rules. This of course is a costly option because NSG rules are free, where as the appliances will incur a per hour VM cost , plus a software license cost. Furthermore, you now have to design for high-availability for the appliances and scaling them up to handle more traffic (most of the options as far as I am aware only support active-passive configuration and do not support load sharing between appliances). To add to this you also have to manage routes to direct traffic through the appliances – all of which add complexity. Summarise the Azure IPs – while this can be an effective way to stay within the NGS limits, this does mean that you might end up allowing IPs that are outside of the ranges owned by Microsoft and increases your exposure. I recently had to come up with options for scaling a Azure HDInsight cluster out (adding worker nodes) or in (removing worker nodes) based on a time based schedule. At the time of writing HDInsight doesn’t allow you to pause or stop a cluster – you have to delete the cluster if you do not want to incur costs. One way of potentially reducing costs is to use workload specific clusters with Azure Blob Storage and Azure SQL Database for the metastore, then scaling down the cluster outside of core hours when there is no processing to be done. Using Azure Resource Manager (ARM) template that has a parameter for the number of worker nodes; then simply running the template at a scheduled time with the appropriate number of worker nodes. NOTE: It is important that the XML configuration file is in UTF-8 format. The HDInsight cluster scaling PowerShell script is available in my GitHub repository. The script will need to be modified to suit your environment but the key elements of the script are described here. Since the script can be either run from Azure Automation or via a scheduled task from a Windows server, it supports sending emails from an internal mail server. The script assumes no authentication is required for the internal mail server (but it is trivial to add authentication support for the internal mail server). The script supports sending emails via SendGrid, Office365 or via internal / on-premise mail servers. At present the latter is supported via hard-coded mail server details but these could be provided via a XML configuration file or parameters to the script. There are other ways of doing this but when the script runs via a scheduled task from a VM it expects that the credentials for the SendGrid / Office365 email account to be stored in encrypted from on disk in an XML file. This is achieved using the Windows Data Protection API. 1. First open a PowerShell console *as the user under which the scheduled task will run*. E.g. $Password = Read-Host -assecurestring "Please enter your password"
Next the script contains two try catch blocks one that authenticates using the “Classic” Azure PowerShell module, and the other with the ARM based Azure PowerShell module. The Get-ClusterScalingConfigurationFile function uses the classic Azure PowerShell module cmdlets to retrieve the storage account key and creates an Azure Storage Account context which is then used to download the blob/file from the storage accoun uses the classic Azure PowerShell module cmdlets to retrieve the storage account key and creates an Azure Storage Account context which is then used to download the blob/file from the storage account. Note it is important the the cluster configuration file is in UTF-8 format else when we try to parse the contents of the file as XML it will fail (especially if it’s UTF-8 WITH BOM). The Get-HDInsightQuota function uses the Get-AzureRmHDInsightProperties cmdlet to obtain the number of cores used and available for HDInsight, the script then uses information when scaling out the cluster. First we use the Get-AzureRmHDInsightCluster cmdlet to get the cluster’s Azure Resource ID, then pass this to the Get-AzureRmResource cmdlet to then obtain the VM sizes currently in use by the cluster – this information is not provided by the Get-AzureRmHDInsightCluster. If you ever have the need to add multiple UPN or SPN suffixes to your forest here is a simple script which will do it in no time. Just add the suffixes to a text file, one per line works the best :). If you ever had to add multiple values to the Gateway Managed Computer Groups there is really only one way of doing it quickly and easily and that’s via powershell. The script below enters an existing group and then loops in order to add all the ip addresses from a /24 CIDR. Since you can’t add subnets or ip ranges you have to add every single address which in this case is 255 addresses, without powershell this will be a nightmare. New-Item -Name "10.0.1.$i" -Type "String"
I needed a powershell script today with which i can check if two given IP addresses match or if a given IP address belongs to a subnet or if a smaller subnet belongs to a larger one (or vise vursa). I found a nice script written by Sava from http://www.padisetty.com/ which had part of the functionality i required so i took and modified it to suit my needs. Below you will be able to find the modified script i hope it helps somebody :). The script will return an array of two values, one to indicate true or false and the second the direction. The direction is important as you may want to compare values for a firewall and as such you want to fit one in the other in a particular direction.